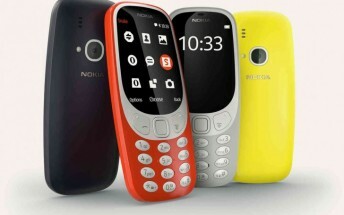 Nokia 3310 is the talking point in the last week after HMD Global announced the return of the legend. Well, it’s not really a legend since it’s quite the different device than what the original 3310 was back in its day and is not really a return since it won’t get to the United States right away. The reason - carriers over there do not support the 900 MHz GSM band. It’s not that we’re not launching in the US. It takes a little longer to ramp up. The United States is a market where most of the phones, smart or not, are sold through carriers and a lot fewer handsets are bought through Amazon, BestBuy or the companies’ stores. The 900 MHz band issue also relates to all the other Nokias we’ve seen at MWC - Nokia 3,Nokia 5 and Nokia 6, all of which we checked out at MWC in Barcelona. Nokia wants to launch the devices globally in Q2 2017. Let’s hope it will manage to sort out the issue or the comeback won’t be as flashy as expected.